The news broke of the Everything Everything movie adaptation before the book had even hit shelves, so this buzz has been around for a while. We've been dreaming of the perfect Everything Everything cast for a year, and now the truth is here: Amandla Stenberg will star as Maddy. And oh boy, is she going to be perfect. Amandla Stenberg is fantastic in everything she does, from The Hunger Games to Mr Robinson, so you just know she's going to nail this one — but it's definitely a challenging role. Stenberg will be playing teenager Maddy, whose severe allergies have prevented her from leaving the house for 17 whole years. Nick Robinson from Jurassic World will star alongside Stenberg as Maddy's love interest, Olly, a boy who moves in next door and strikes up a conversation by writing on his bedroom window. It's a unique YA love story, and I can't wait to see the chemistry unfold between these two. Nicola Yoon, the author of the Everything Everything novel, is a member of the We Need Diverse Books organization, and very much wanted to write a protagonist with whom her own mixed-race daughter could identify, and so I'm pleased to see that this has been honored in the casting of mixed-race Amandla Stenberg — even though Stenberg's half African-American and half-Danish heritage differs slightly from Maddy's, who is half-Asian and African-American. It's always good to get the author's seal of approval that they think the chosen actors can bring their vision to life, and it seems that Nicola Yoon herself is totally thrilled with the casting of Everything Everything . Now I'm so excited to see who will play the other key roles — particularly Maddy's loving but overprotective mother, and her nurse and role model Carla. 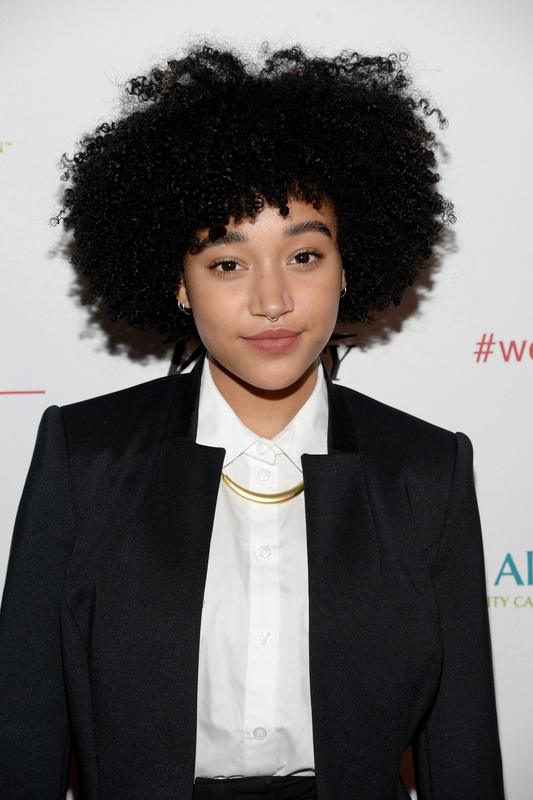 On the other hand, whoever they are, we already know Amandla Stenberg's going to steal the show!